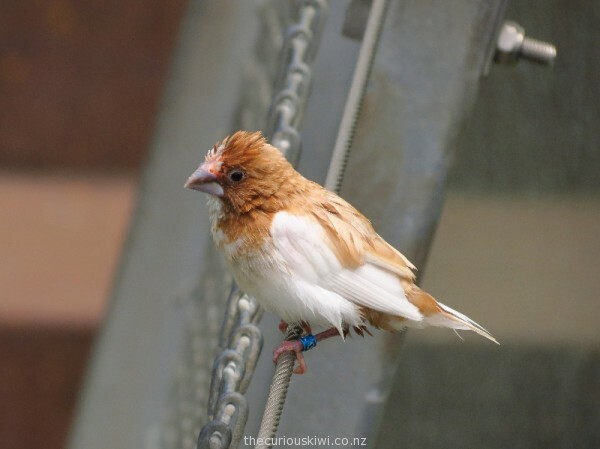 The temperature can drop below zero during a Dunedin winter but one place you’re guaranteed to keep warm is in the Tropical Forest at Otago Museum. On the day I was there it was a balmy 35.8 degrees celsius with 64% humidity, I can confirm that’s not enough humidity to make your hair frizz. 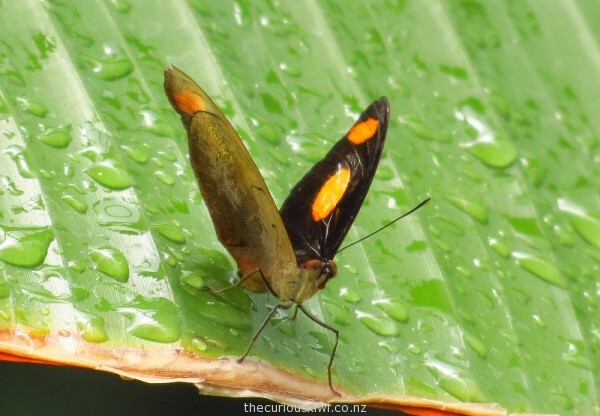 Butterflies are the main attraction in the Tropical Forest and they arrive in New Zealand in chrysalis form from breeders in Costa Rica and the Philippines. 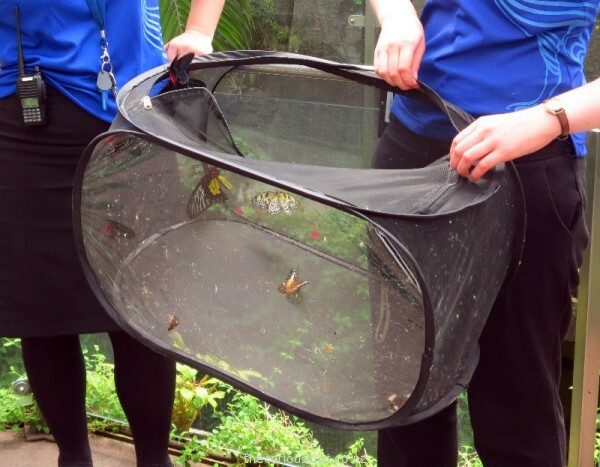 At 11am every day as well as1.30pm weekends and school holidays you can see what they call ‘first flight’ which is when the newly emerged butterflies are released. 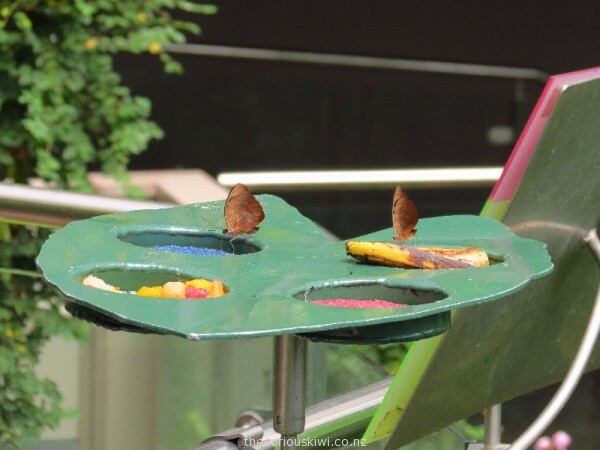 I don’t think the ‘first flight’ is a must see, so if you can’t time your visit for it you can still enjoy the pretty butterflies, and see the hairy tarantula. 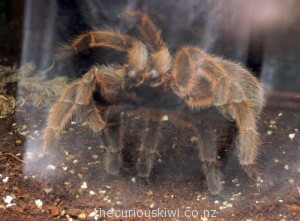 Tarantulas are found in rainforests in South and Central America, fortunately in Dunedin they’re found behind glass. 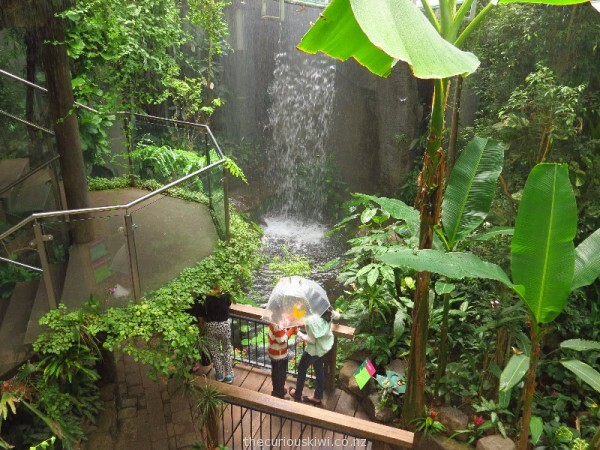 You can’t have a rainforest without water and a tall waterfall tumbles down the three levels of the forest. At times, heavy showers also pour down from the ceiling – it’s definitely worth using one of the umbrellas provided. 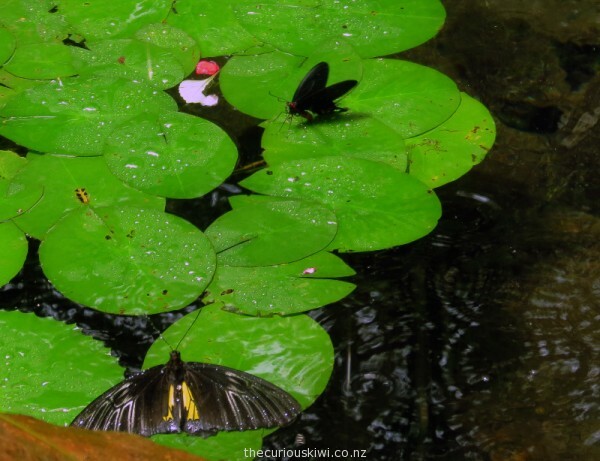 What surprised me was how much the yellow and black butterfly (below) liked the rain, it was pouring down and yet it stayed flat out on a lily pad in the water for ages, possibly drinking? Butterflies are obviously not as fragile as I think they are. Although maybe the butterfly was too cold to move, or was cooling down? 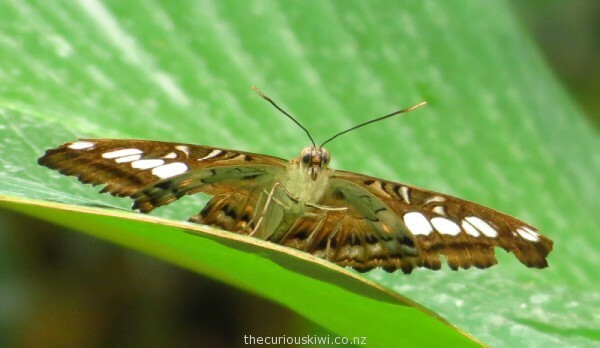 That’s a question for the experts – lepidopterists incase you were wondering. 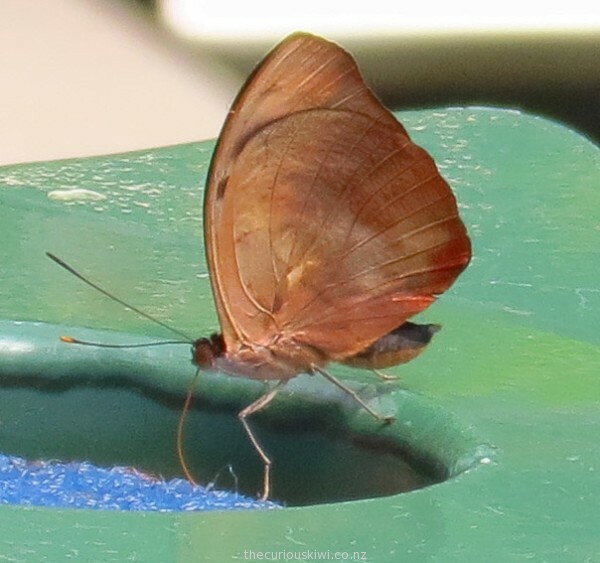 I do know that butterflies drink through a proboscis that extends like a drinking straw when they are feeding, and curls up when not in use. They taste through sensors on their feet so walking across peeled fruit is a tasty way to travel. I was interested to read that butterfly wings are clear, it’s the scales on the wings that give them colour. 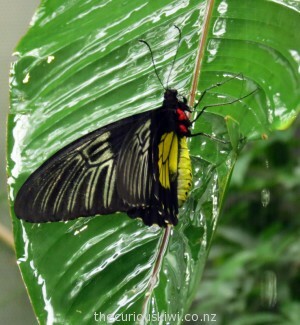 However the glasswing butterfly has few scales so its wings are almost transparent. There were no glasswing butterflies in the Tropical Forest when I visited, but cross your fingers because you can see them occasionally. Entry to the Tropical Forest is $10 for adults, ages 2-18 years $5. 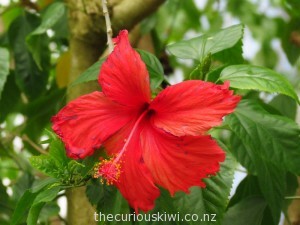 Otago Museum is at 419 Great King Street, admission is free to most other exhibitions, donations appreciated. 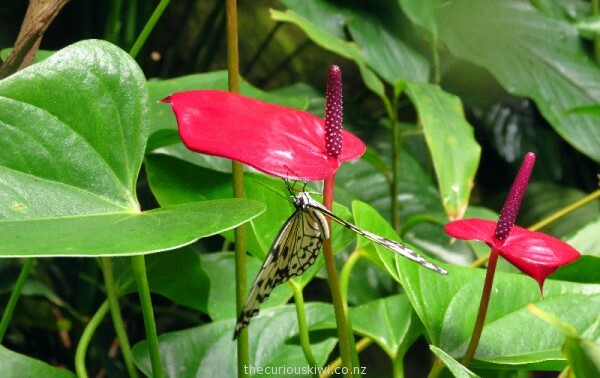 This entry was posted in Dunedin/Oamaru, Twelve Dollar Attractions, Unusual New Zealand and tagged Butterfly Gardens, Tropical Forest Otago Museum by thecuriouskiwi. Bookmark the permalink.